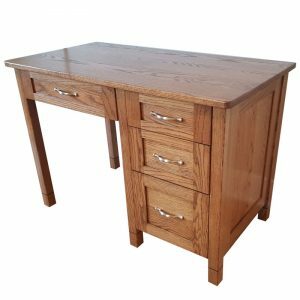 Handmade from solid hardwoods in your choice of stain colors or paint options. You’ve heard the old saying, “What goes up must come down?” Well in the case of the typical child’s toy box it’s the lid that comes down and sometimes on little fingers – ouch! That scenario will not happen with our innovative toy organizer. Our classic looking organizer has clean modern lines which will fit well into any décor. 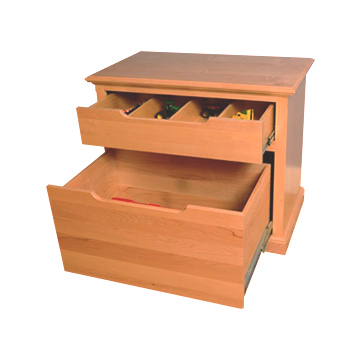 Our version has an attached stationary lid and features two roomy pull-out drawers. 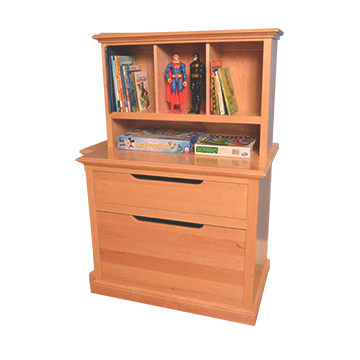 We kept the concept of the big open toy box on the bottom, so your child will have plenty of room to store big items. The top drawer has an adjustable divider system with roomy compartments so that those small toys or other items don’t get lost or misplaced. With all toys easily accessible and organized, play time is easier and pick up and stow away is fast! Like other pieces of our furniture, the toy organizer has more than one function. It can do “double duty” after the need to store toys has passed. Its larger size makes it convenient for storing bedding, blankets or pillows or other seasonal items. We are certain you will find other uses for this solid piece of furniture. We make our Toy Organizer by hand, just for you, in our shop. We do not sell mass produced items. Every furniture piece we sell is hand crafted with pride and built in the U.S.A. from American Hardwoods. 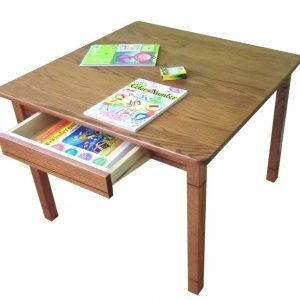 The Toy Organizer is available in Alder, Cherry, Hickory, Maple, Red Oak and White Oak with your choice of stain options. The Organizer is also offered in a painted finish. If you choose a painted option, your Toy Organizer will come with your choice of either a clear finished Maple or clear finished Red Oak top which will give it added durability. Simplify your living space and cut the toy clutter by purchasing our versatile Toy Organizer today. It is an investment in quality that will give you years of service and be passed down to future generations. 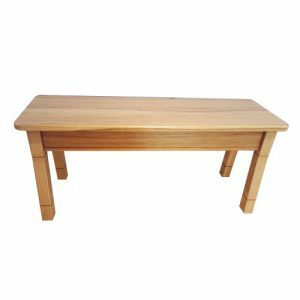 Our furniture is strong and sturdy, but almost any furniture piece has the potential to tip over if a child tries to climb up on it. We include an anti-tip strap with our furniture and ask that the end user be vigilant in employing it to secure furniture items to the wall. Your child’s safety is paramount with us. We want you to have peace of mind and enjoy your furniture in a secure manner.